Entdecken Sie auf dieser 9,5-stündigen Holy Island-, Alnwick Castle- und Northumberland-Tour ab Edinburgh Küstenrouten rund um Edinburgh und das alte Königreich Northumbria. Fahren Sie mit einem Guide über die schottische Grenze nach Süden und besuchen Sie Holy Island und das ruhige Dorf Lindesfarne. Entdecken Sie lokale Sehenswürdigkeiten wie das Lindesfarne Castle und das Priorat und erkunden Sie die Marktstadt Alnwick. 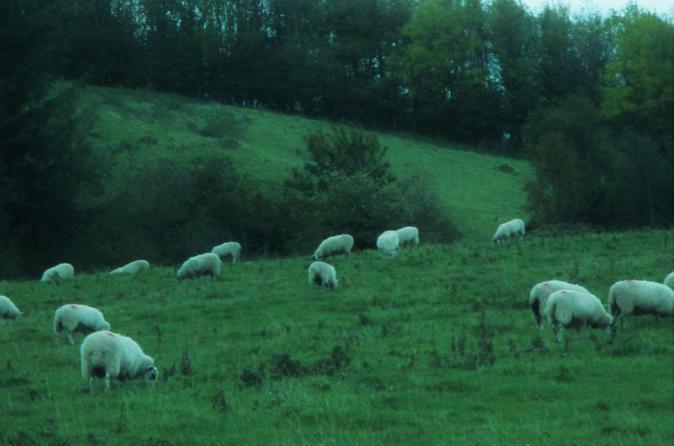 Reisen Sie durch Flodden Field - das Schlachtfeld, wo sich 1513 die Engländer und Schotten in der Schlacht trafen - und erhalten Sie Einblick in die britische Geschichte. Kehren Sie dann bequem nach Edinburgh zurück. 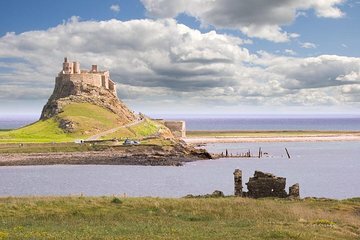 It was a completely different excursion specially referring to Holy Island. The Alnwick Castle was amazing. Great tour but I felt super rushed. Alnwick castle was amazing but sooo crowded it made it fairly difficult to move through. Wish we had been able to spend more time on Holy Island but is was so brief. What an amazing tour! Our guide and driver was Donald. How much he knows and how interesting he told. Thank you so much for sucha splendid day! We traveled with Dave and it was our first trip in Scotland. After last year's vacation Polish agency we expected some boring stories, poor descriptions, generally - reasons to complained. And we were...shocked literally, my girl speaks much and all she said was deep inhale - Dave showed us what modern guide's job really means. We were astonish by his descriptions of historical facts, landscape, building, habits. The tour is very well considered - you've got time for everything on the island and within area of the castle you pay less just because you travel by bus not by a car. There wasn't a minute we were bored, if you hesitate - I bet you will love it. Thanks, Dave. You showed us what it means to be a real guide, you set a very high standard for next guides we meet. We had a great day with our tour guide, David. Even though it was a rainy/snowy day, he made it an enjoyable day. Holy Island is a wonderful place with lots of charm and I would like to go back and spend more time there. Alnwick Castle has a lot to see and is well worth a visit. I would definitely recommend this tour with David for you. The guide was very enthusiast and cheered the day with a fun range of traditional and modern musics and songs. The holy Island was beautiful and the various stops at little villages was just delightfull! We also had some time to stop by the beach to enjoy the incredible sky by Bamburgh Castle. Alnwick Castle was interesting and I would recommend, however, I might suggest its visit more if you are travelling with kids. The herbalist in me may decide to go visit the gardens separate ticket, the schedule won't allow you to do both sould I be to go again. Thank you for this lovely day! Fantástico passeio. Nosso motorista foi muito atencioso e nos forneceu informações muito interessantes. Os tempos nas atrações foram bastante ideais para se curtir bastante as mesmas. Muito interessante a oportunidade de atravessar a fronteira sobre o rio Tweed a pé. Passeio imperdível. A full day out. Thought we would spend more time on The Holy Island, but of course this is all dependant on tide times, and of course other people on the bus arriving on time. The same people continually were late for each stop and even for our initial departure. Other than that the Island was very quaint and had good crab sandwiches. yum Also stopped over the border and saw the Alnwick Gardens. This was a huge surprise certainly was not expecting such a huge place and a castle amongst it all. A Downtown Abbey episode had been filmed there. The gardens were very family friendly and it was so nice to watch all the children playing amongst the water fountains. Good café there too where we had lunch. Good day out for sure! Amazing tour. I forget the tour guides name. Sadly Holy Island castle is being restored so a lot of construction and were not able to go inside. Alnwick castle was amazing. Loved the book library, reminded me of the Harry Potter movies. The broom lessons was very fun to do. We had a great group when we did ours. Sadly because we were on the bigger bus we did not get to stop at the battle grounds. We booked the trip to see Holy Island, which was amazing. We saw the ruins of the old abbey, which was destroyed by the Vikings. You can only access the island during low tide, but you can see where the tide comes in. Alnwick Castle was used in parts of Downton Abbey and they were giving lessons on how to ride a broom Harry Potter style, which was fun to watch. Beautiful scenery!